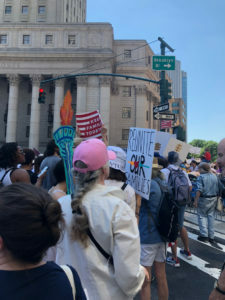 On June 30, I joined about 30,000 others in Foley Square in Manhattan to protest the detention of the over 2,300 children who have been ripped away from their parents at the southern US border — many of whom are under 10 years old. Some are housed in large tents, some in converted warehouses. Some are scattered thousands of miles away from their parents — to 17 states, including New York. Yet, these kids have done nothing wrong. Their parents, fleeing violence and extreme poverty in their home countries, have not been accused of being unfit parents. Before I started mediating, I spent several years representing children in foster care in the Bronx Family Court. Sometimes, I met my clients, aged 0-21 within hours after they had been removed from their parents. I saw, firsthand, the terror in the eyes of a toddler who has been torn from her parents. I saw the look of confusion and worry on their little faces. I listened intently as they told me about how they could not sleep at night, about how they worried, about how they felt responsible, when, of course, they were not. And I have seen the lasting, deleterious effects on the kids, and the difficulty they had putting the pieces of their lives together as they grow into young adulthood. 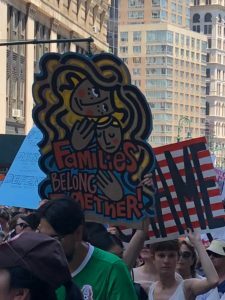 Foster care is different from the detention of immigrant children. The state puts children in foster care when it determines that their parents cannot care for them. Parents whose children are in foster care are entitled to some kind of due process, no matter how imperfect. Foster children in many states (including New York) are represented by lawyers in court. There are visits set up between parents and children. Many are placed with relatives. And yet, even though young people in foster care are luckier in many ways than the migrant children who are in the news now, their lives are still marked by trauma. The children in detention have it harder because they are in a foreign country, where business is conducted in a foreign language. Our food is strange to them, as are our rules. Unlike American children, they have no automatic right to education or health care here. But there are also similarities. Like children in foster care, they have no idea when or if they will see their parents again. And, like children in foster care, they have no idea what the future holds. The children have done nothing to deserve such treatment. I have certainly seen parents who cannot care for their children responsibly. But I still believe that all parents want the best for their children. We want to raise our children in peace. We want our children to be happy and healthy and productive. Children need to be raised by responsible, stable, loving and nurturing adults. It doesn’t matter if those parents live in different households. It doesn’t matter if parents are married or divorced, single or separated, straight or gay. It doesn’t matter what country they are from, what they are running from or toward, what language they speak or what their immigration status is. I’m glad that much attention is being paid to the kids in the news, and I certainly hope that they will be reunited with their parents post haste. I also hope that we will remember that children in foster care are also separated from their parents, and will show them the same compassion. Families (no matter how they are defined) belong together. 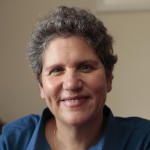 1 See, for example, The Challenges for Doctors Treating Migrant Children by Perri Klass, MD. The New York Times, June 25, 2018.